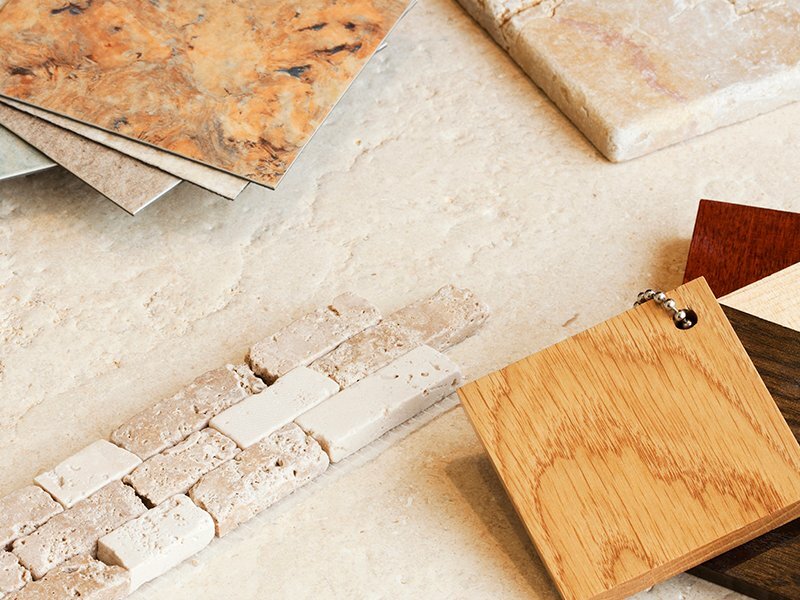 While picking the right material for your countertops is a task all its own, it is the edge that you will find to be one of the most prominent features. 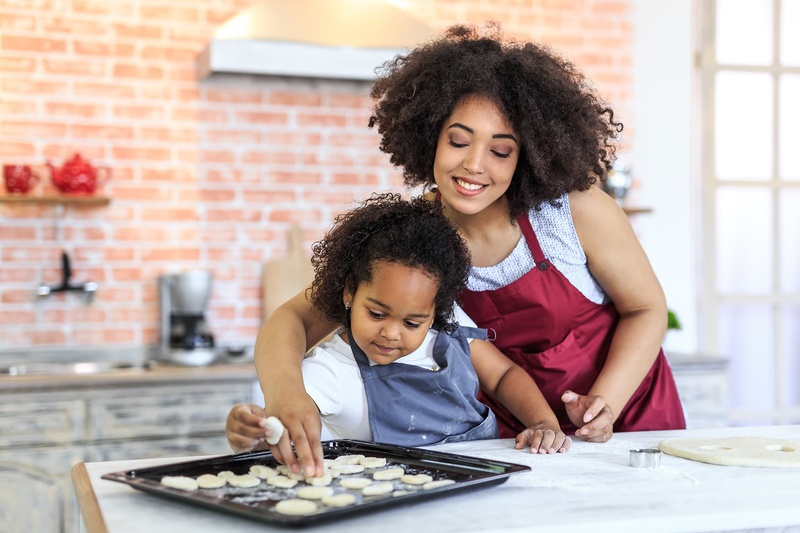 It is what you and your friends and family will gather around, sit next to, lean against, and bump into every time you’re in the kitchen. 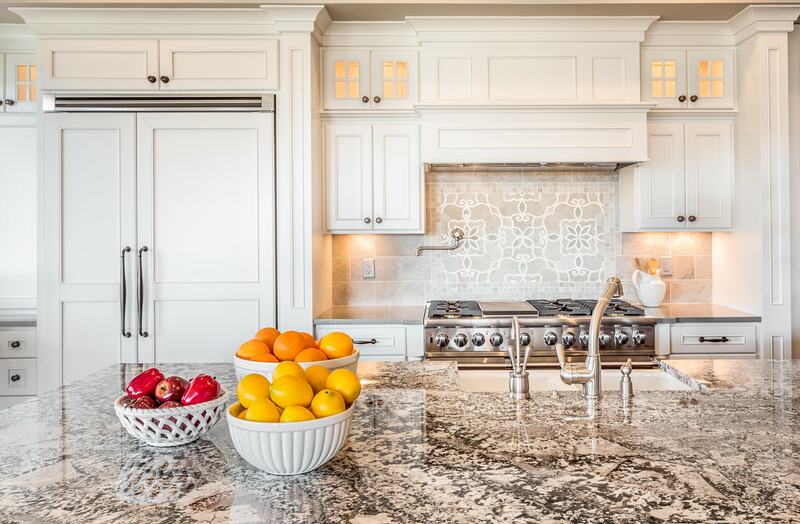 Since granite and quartz are the two most popular materials for kitchen countertops today, let’s focus on the edge treatments available for these. A flat, polished edge or eased edge is most popular today. 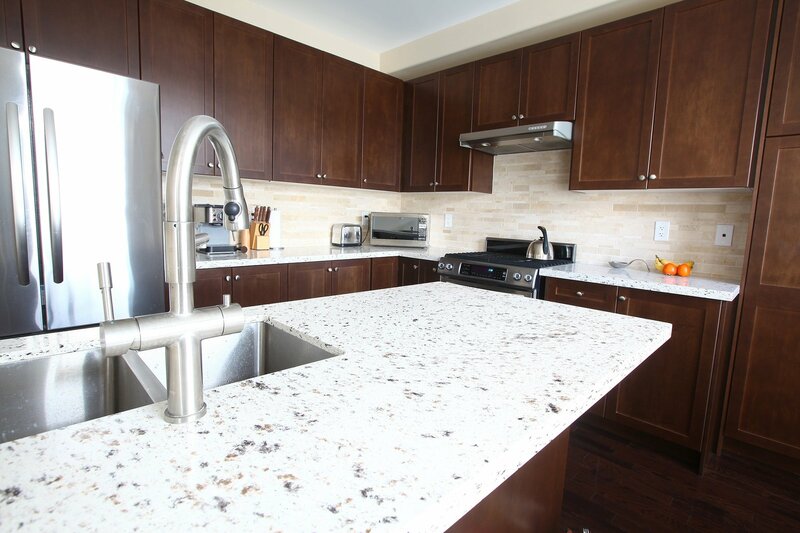 It is clean, simple, and modern-looking and the profile fits well with shaker-style cabinets that are all the rage. The edge has a square, crisp-look, but it isn’t sharp. The sides and corners are ever-so-slightly-smoothed to protect the countertop from chipping and the bodies of your guests from scratches. 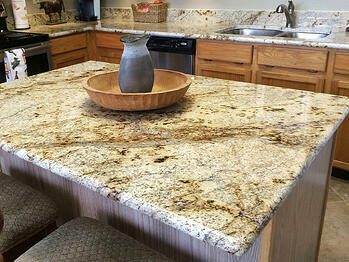 Most countertop manufacturers offer a few variations on the radius you can add to the flat, polished edge, such as a 3/8” or 5/8” round edge. 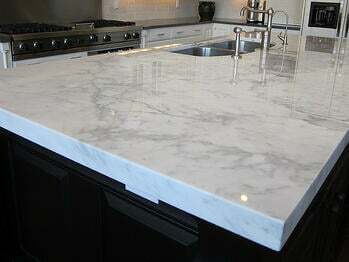 These options add more roundness to the countertop edges for an even softer look, yet still are clean and simple. The benefit of more roundness is the edge is actually a little bit stronger, especially if something heavy, like a cast-iron pot, is knocked against it. 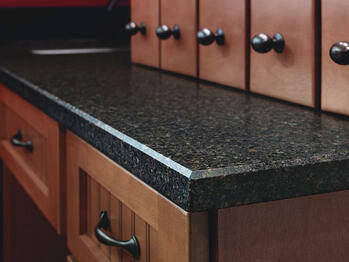 In the family of rounded edges, the bullnose edge is the roundest. It’s a fully rounded edge from top to bottom and is popular in families with young children. 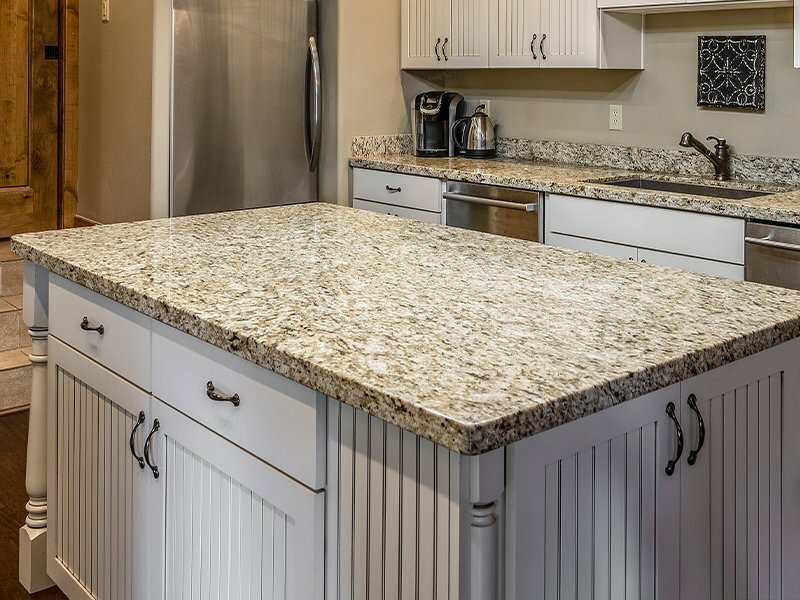 Because it does tend to make your countertop look a little thinner, some homeowners will choose a half bullnose which only is round on the top edge. A beveled edge is an edge that has an angle that is less than 90 degrees. Most beveled edges are 45 degrees. 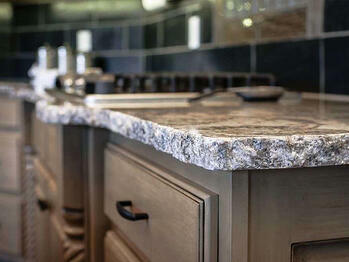 This angular edge is a decorative touch that some homeowners choose to enhance a contemporary or traditional kitchen. 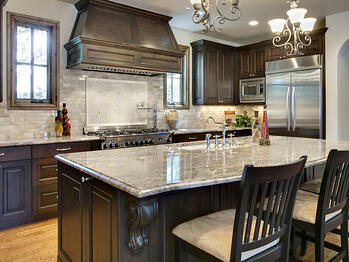 An ogee edge is often found in more traditional kitchen designs. 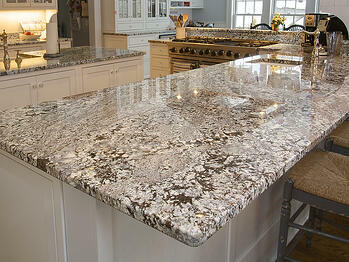 This edge-style has a gentle S-curve to it, giving countertops an intricate look. While the ogee edge is slightly more work to keep clean since crumbs and dust can gather in the grooves, it makes up for it with its flowing, elegant appearance. Interested in a much more rustic, natural appearance? This edge has the natural stone exposed on the side giving the slab of countertop the impression that it has just been chiseled out of the ground. Every manufacturer and fabricator have slightly different names for similar edge styles, and this list is just a handful of some of the most popular options. You can get uber-creative with your edge profiles, and most fabricators can do many custom options. Just remember the more detailed the edge, the higher the cost. If you plan on selling your home soon, consider a style that will appeal to the broadest number of homebuyers. In our experience, the flat, polished edge or rounded edge is what the majority of homeowners choose. 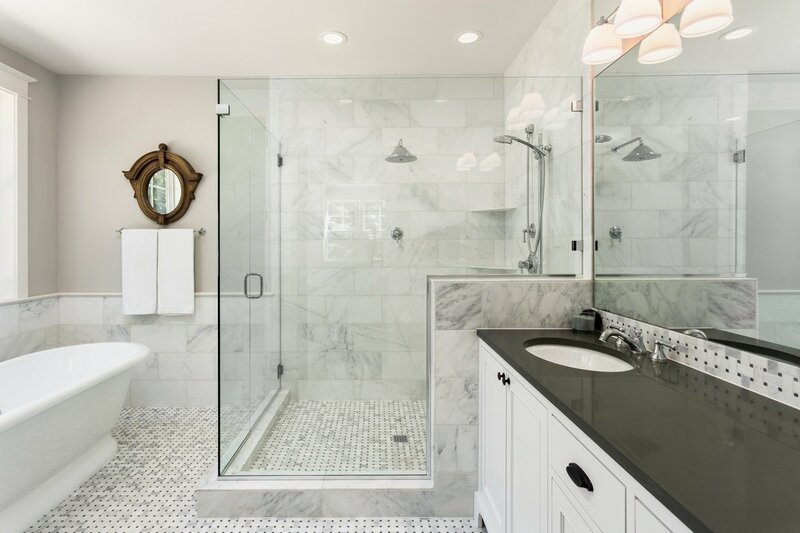 If you're not sure which options would be best for your home, come by one of our five showroom locations as our team here at K&B is happy to answer any questions. 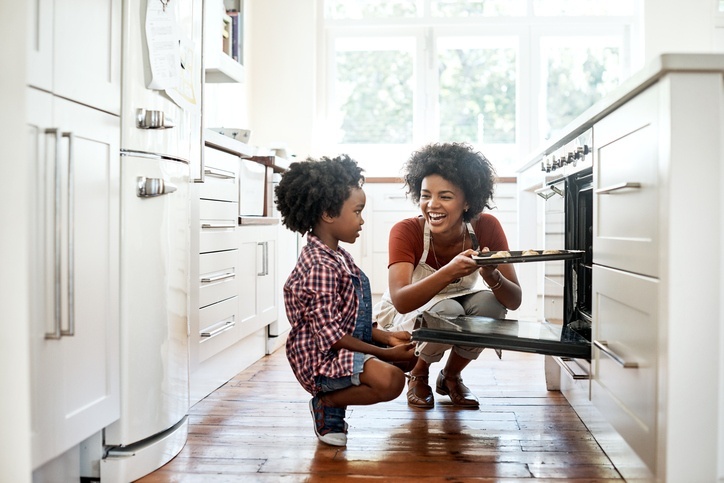 previous post What Type of Flooring is Best for Your Kitchen?